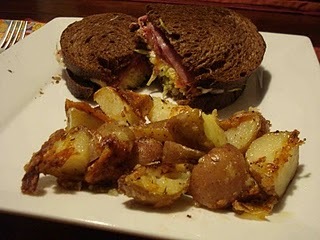 Before 2010 comes to a close, I wanted to jump on the end of the year "best of 2010" bandwagon and reflect on my own year in recipes. I went through each of my posts and chose my favorite recipe from each month. Oddly enough, even though these were my favorites, I've only repeated them at most 1 time. 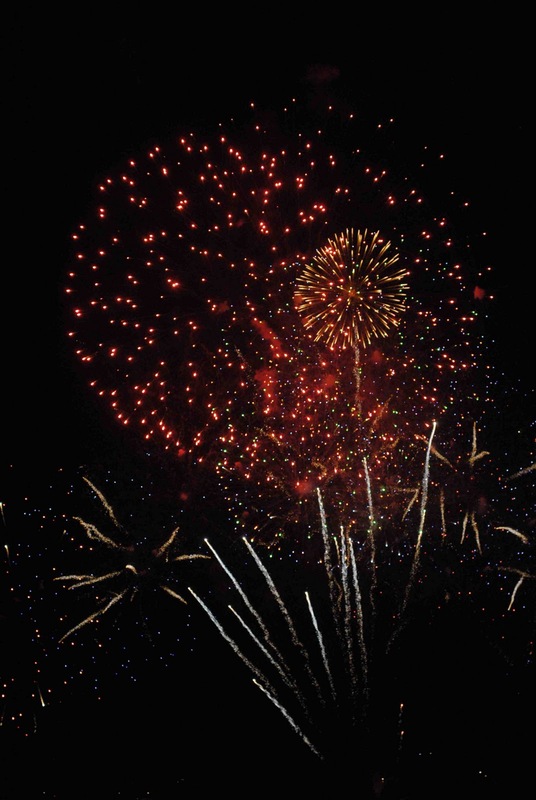 Here's to a prosperous, healthy, and happy 2011! 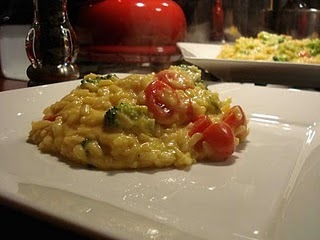 January: Rarebit Risotto. Not exactly healthy, but absolutely delicious!! February: Roasted Red Potatoes. A side dish that is as simple as it is delicious! 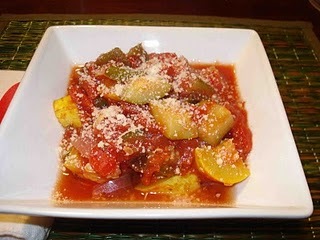 March: Chunky Italian Vegetable Stew. Yum! 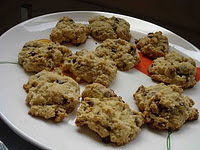 April: Chocolate Chip Scones. Nothing beats a fresh baked good for breakfast in the morning. 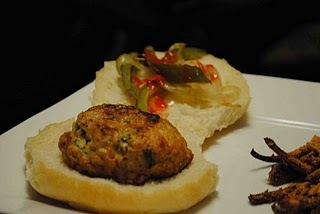 May: Chicken Tequila Burgers. A great meal on the grill for the first nice day of the year! 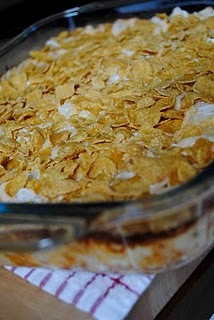 June: Hash Brown Potato Casserole. A family favorite! 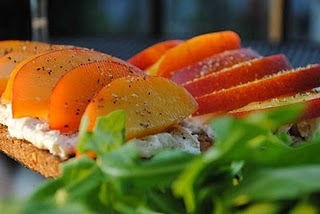 July: Peach Bruschetta. Oh my goodness, I can't wait to be able to make these again! 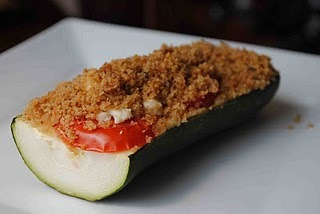 August: Baked Zucchini. It was tough to choose just one this month, but this is another family favorite! 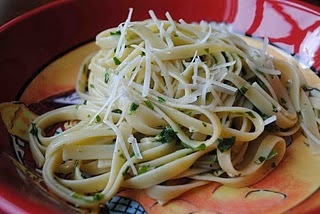 September: Fettuccine with Fresh Herbs. Light and refreshing! October: Pumpkin Spice and Maple Granola. I don't know what I love more, the recipe or the picture! November: Chicken Pot Stickers. Yet another tough month to choose, but these were great! 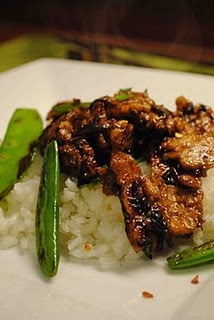 December: Tempeh with Snow Peas. This may be one of my all-time favorites of the year!